Saw these on another site ID'ed as NCRC. What is the difference and what app would each one be suited best for? This was an interesting and informative post and I would like to add a picture of a couple more stators. I am curious as to what the difference would be between the one on the bottom and the one to the right. Looks like they have the same angle, just the one on the bottom has some holes drilled into it. 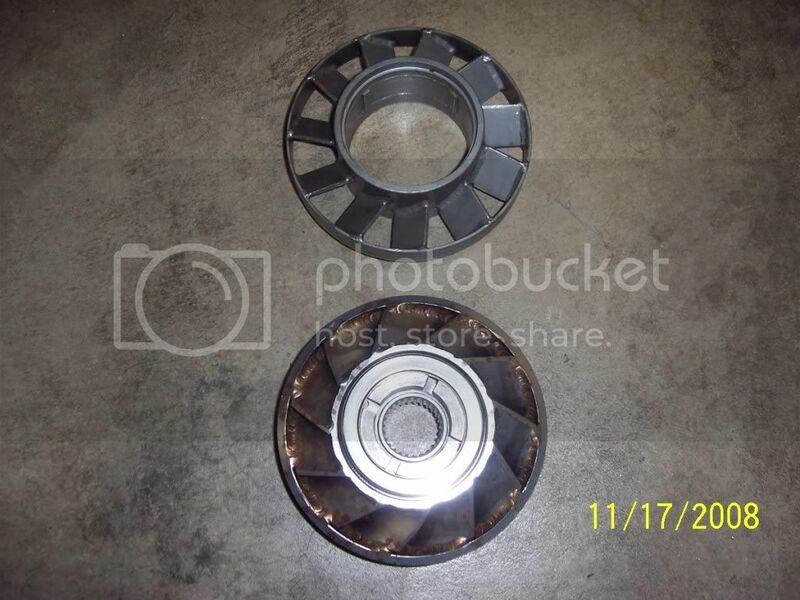 What effects can be expected by drilling holes in the stator like this? I have heard of stators being angle milled to change the angle slightly towards the tip to increase stall, but never holes drilled. Thanks. Thanks for your reply! So the slots pictured only come into effect with flow after the one way clutch releases the stator to free wheel and it is just as effective in its locked position? What if you have a spragless converter?